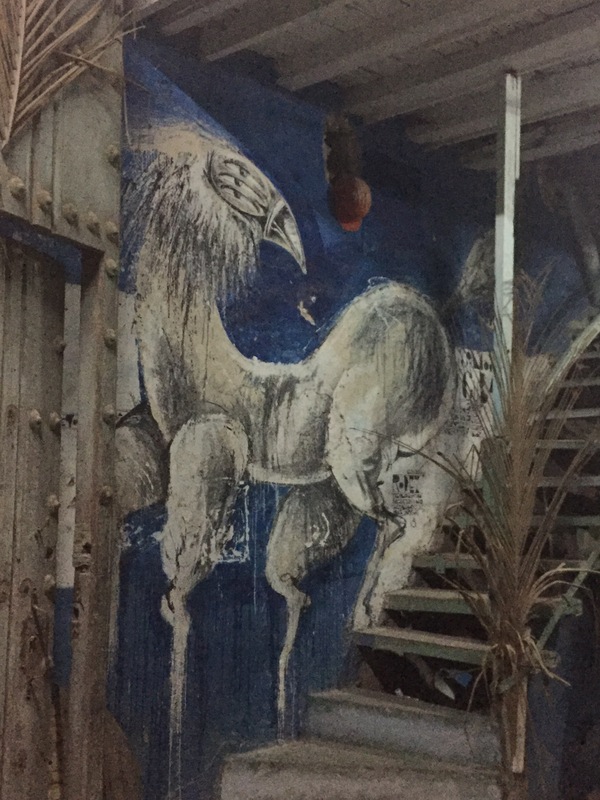 A fanciful chimera in a secluded stairwell in old city, Havana. Near Plaza Vieja. It is a horse with a bird’s beak and three eyes.